HELLTOWN BEER: Poland. Showdown. Crew. Union. Part One. What are the chances. Piotr Nowak. Robert Warzycha. Two head coaches taking Major League Soccer teams to battle for 1st place in the Eastern Conference from the same country. Born less then a year apart, 47 years ago. And less then 1.5 hours from each other. The odds of that are nothing to nothing. It doesn't happen. But it has here. 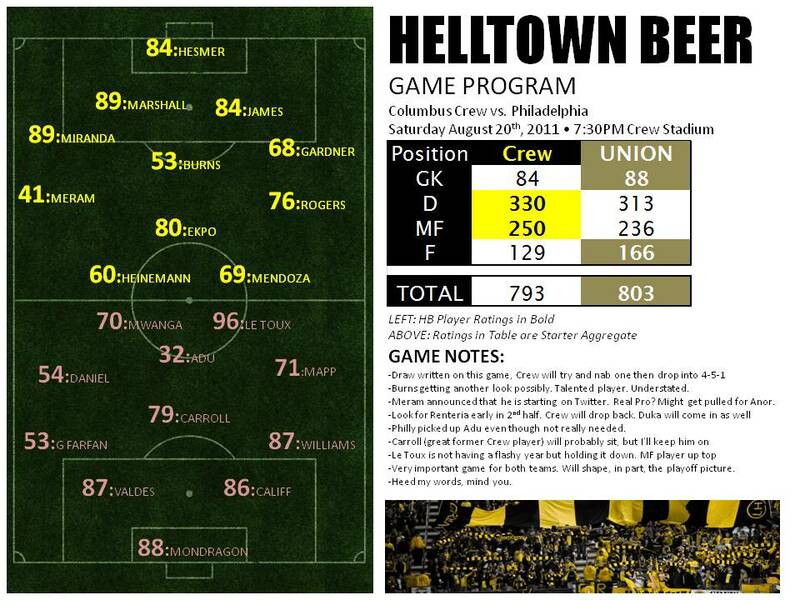 Both the Crew and Union are having similar seasons. They aren't ripping it up offensively but have found themselves atop their conference. Strong defense and scoring when they need to. It's MLS unlocked. Spare me the West v. East stuff. Late game starts stifle the East. It's built in. 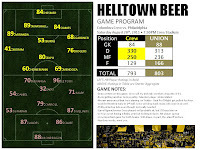 While putting the game program for this game together I starting thinking just how great it is for both Piotr and Robert. Both of them Polish national team players in the 1990s battling it out in MLS. How great is that? Where are the stories on this? Warzycha is from Simkowice and Nowak from Pabianice. Both of them are 47 yrs old as of this writing. Robert turns 48 tomorrow. Believe it. To be a fly on the walk after this weekends game. Time to look up some 1990s Polish national team history to try and make sense of this whole thing. The picture right here is a good one. I've been around sports for quite sometime. This year's Crew team is a very likable one. That picture captures the 2011 Crew perfectly. Couldn't find the clean pic so I had to screen shot it from the mls site. Too good not to post for years down the road from now. Part two of Philly v. Crew is next month. No matter how it ends up both these teams will be making noise in the playoffs for the MLS Cup. The winner is already decided. Happy Birthday Robert Warzycha. Let's go Crew. Perogies, they'll be sharing onion and cheese perogies in the tunnel! I wonder what those two did after the game. how random is it that they are where they are. is it the perogies? !